Yesterday we heard from the members of the Producers, Cinematographers, and Writers Guilds about their favorite films of the year. Perhaps obviously, each group had different ideas about what constitutes excellence in filmmaking, and only two films, Sicario and Bridge Of Spies, were nominated for awards from all three trade groups. Now a fourth group, the Costume Designers Guild, has released its impeccably tailored list of nominess for the chicest films and TV series of the year. Unlike most awards bodies, the Costume Designers Guild divides its nominees into three categories, each representing a different sensibility: Contemporary for the fashionistas, Period for the vintage purists, and Fantasy for the, well, fantastical. 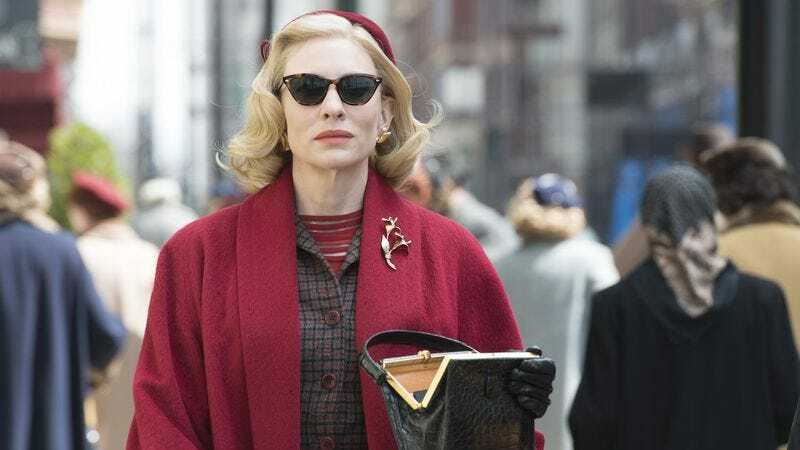 In the contemporary film category, we’re not surprised to see a nod for Kingsman: The Secret Service—Colin Firth’s wardrobe was basically a character in that movie—and in period film, while Carol looked great, the costumes in Crimson Peak were on another level entirely. Fantasy film, meanwhile, will see pretty princess Cinderella facing off against Finn’s jacket in Star Wars: The Force Awakens, which has the distinction of already being available in expensive screen-accurate replicas online. The TV categories, as expected, are uniformly strong, especially in the period category. A full list of Costume Designers Guild nominees in the three major categories is below.